New President of the GUI John Moloughney with 2017 President (Current PRO) and Hon. Secretary Pat O’Connell from Templemore Golf Club at the GUI AGM in Dublin on the 17th. 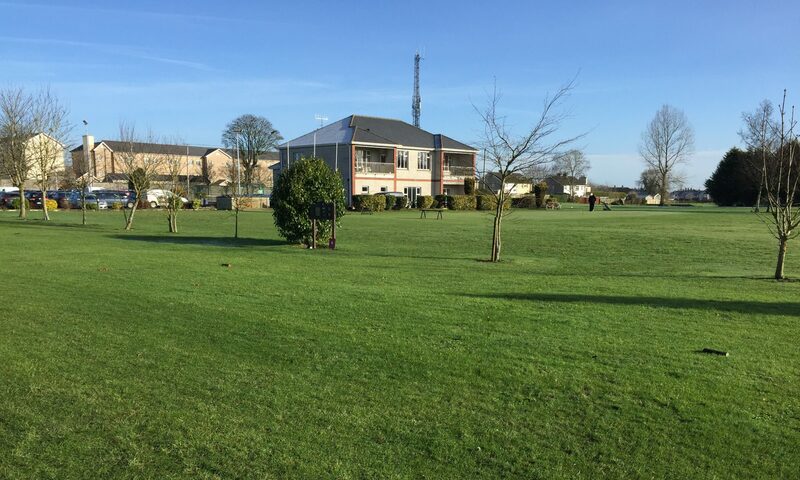 Feb.
Captains Drive-in; The New Date is now arranged for Sunday 25th. Feb. 9hole S\F Mixed Scramble. Apologies have been expressed by Captain Tommy Foley for the many cancellations due to the continues bad weather. Registrations will commence at 12.30 with Tee off at 1 pm. All members are expected to support our Club Captains, Tommy Foley and Sara Hearne and Club Presidents, Phillip Ryan Snr. and Bernie Stapleton in make this a great solidarity start and support for your Golf Club for 2018. Refreshments will also be available for all in the club lounge after drive-in ceremony for those not taking part. Bring all your families and make this a great social event for all. Congratulations; Congratulations to Mr.John Moloughney on his promotion to President of the Golf Union of Ireland. At the GUI AGM last Saturday 17th. February John was presented with his medal of Honour. This is a great historical occasion for Templemore Golf Club that one of its founder members achieved this prestigious position in the World of Golf. John in his presentation speech gave great credit to his own club Templemore Golf Club and on the development of the club by volunteers in setting the standard on course work achievements by volunteers. He also expressed his gratitude to his club by representation with former President (Current PRO) Tony O’Toole and Honorary Secretary Pat O’Connell. We wish him well and every success in his new post. 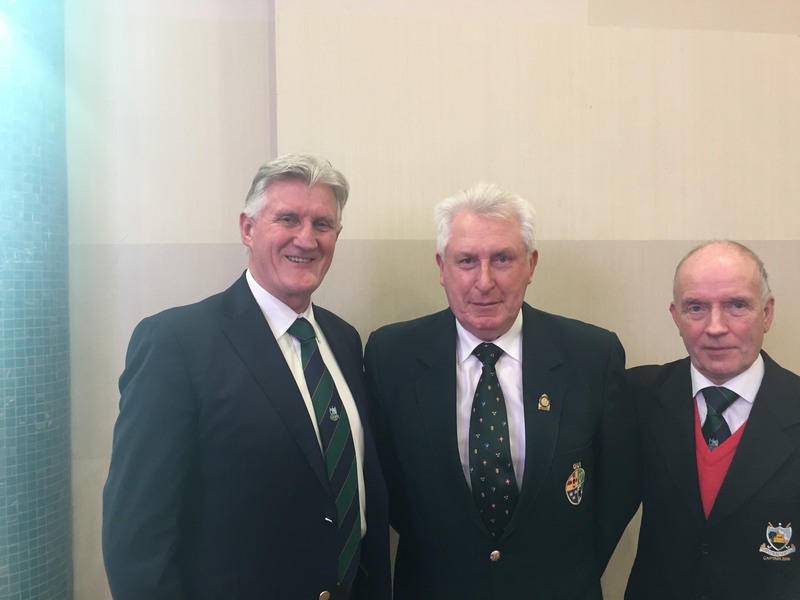 Historic AGM as Clubs steer GUI forward; The first meeting Since 1912 attended by clubs at the Annual General Meeting of the Golfing Union of Ireland on Saturday 17th. Feb. represented the most significant of a series of governance changes that the organisation has undergone in the last three years. Addressing the issue of One Governing Body, the Chairman added: “Over the past two years, the Discussions’ Group has consulted widely with all stakeholders in producing a Proposal for One Governing Body which was approved in principle by both Boards prior to Christmas. The Provincial Councils of the GUI and the District Executives of the ILGU are currently being briefed on the proposal and it is envisaged that if and when the final detailed proposal is approved by the GUI Board, Clubs will be invited to briefing sessions in March or April before being put to simultaneous EGMs of both the GUI and the ILGU.” “There will be an increased emphasis on golf development & promotion in the new body and significant additional investment in club services and club support”. Names for the Spring League; Get your name onto the list now to avoid any delay on the start of the league. Draw for teams will take place on Wed. 21st. Feb. Entry fee €20. Don’t delay give this league your full support. 50/50 Lotto; The committee have agreed to commence a 50/50 Lotto as soon as possible. Full support by all members will be required to make this Lotto a great success. All funds will be for the development of the course, the replacement and purchase of new machinery that will improve our course conditions. Seniors Thursday 15th.Feb; Due to inclement weather the event was again cancelled. All is looking well for this Thursday 22nd. GUI Handicap System Changes; Like golfers, the system does not stand still and a number of further refinements, borne out of experience and new evidence, were introduced with effect from 1 January, 2018. A number of key principles were taken into consideration during this review process, to encourage participation in both competition and social golf. Make the system fairer for players of all abilities. Make the handicapping system uniform throughout Great Britain & Ireland. In Ireland, it has been agreed that there will be a limit of 36 for men and 45 for ladies in respect of future initial handicap allotments. Course Volunteer Work; A call up is required for the “Adopt A Bunker” volunteers to remove the winter look off the bunkers by raking and weeding. “Just call in and get on with the work”.